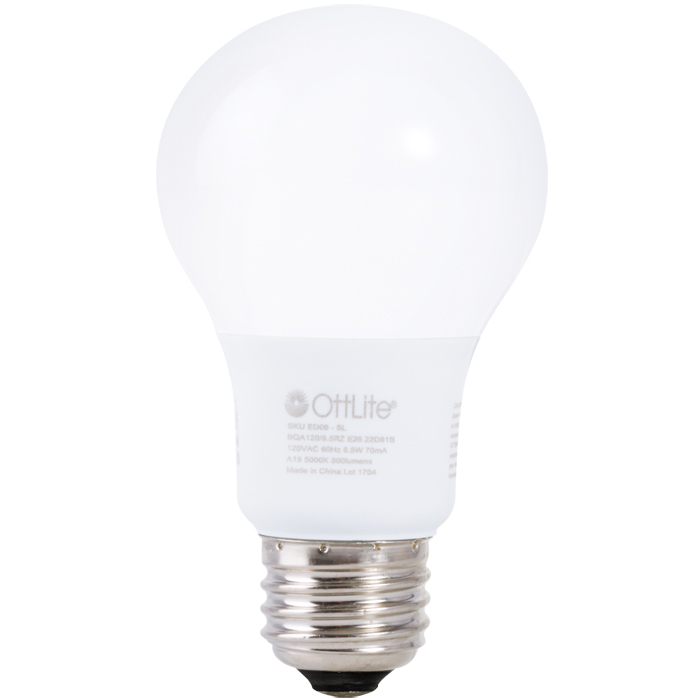 Bring OttLite’s natural daylight LED illumination to almost any light fixture with our Edison-base 8.5w LED bulb. The base fits most standard sockets and is perfect for reading, makeup application, studying, crafting and more. 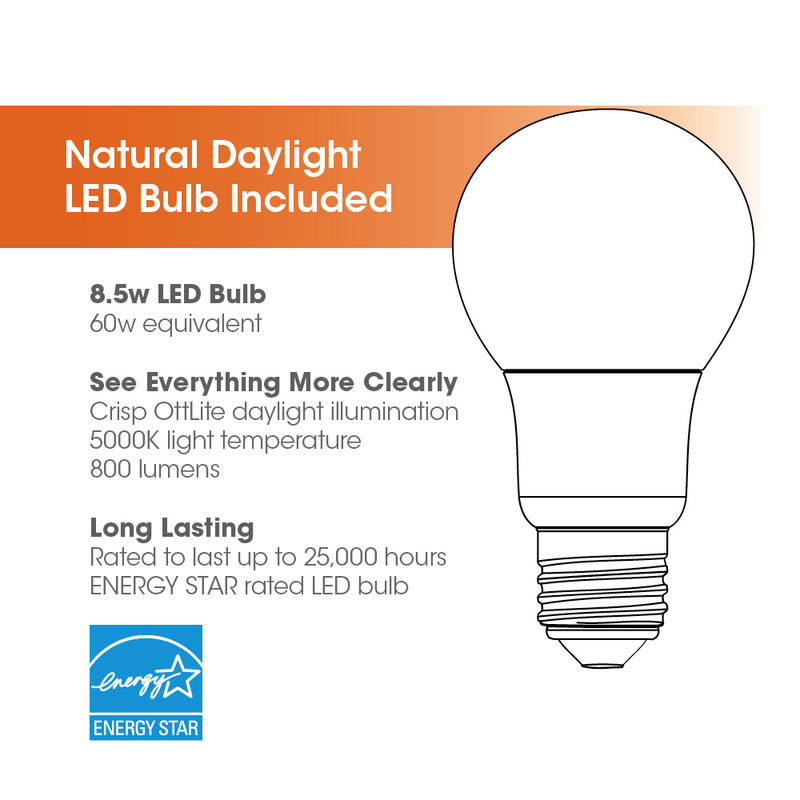 The output of this 8.5w LED bulb is equivalent to a 60W incandescent bulb and has a maximum lumen output of 800. ENERGY STAR rated for an estimated yearly energy cost of $1.02 per year (based on 3 hours usage per day).